Happy to share with you all that His Christmas Miracle released on 12th Feb.
Kyle Masson’s marriage has been a sham. Now after two years of apparent happiness, all he’s left with, is a surrogate mother, pregnant with his child. Determined to at least be a proper father, he is ready to care for her throughout her pregnancy. But his experience has left him suspicious. Duped by one woman, he’s determined not to let Chrissie out of his sight. So, when she plans a trip to India without his knowledge, Kyle follows hot on her heels. Chrissie feels oppressed by her situation. Kyle’s heavy-handed tactics are driving her mad and to complicate matters even further, she’s seriously attracted to him. Surely she can’t be drawn to a man this bossy? And then as she gets to know him, an insidious, impossible dream begins. That her baby should have both parents. As compelling attraction drives them together, that wistful yearning appears to take on a hazy form. But Chrissie knows her dreams are poised to be shattered. For she is bound to be only a surrogate, never a real mum. It’s available at Kindle unlimited and as Kindle ebook at all Amazon marketplaces. Kyle Masson, Irish billionaire, discovers he had been married to a con woman. Now, left with the pregnant surrogate mother for his child, he’s determined to focus on being a proper father and to care for her throughout her pregnancy. His experience has left him suspicious and cynical. 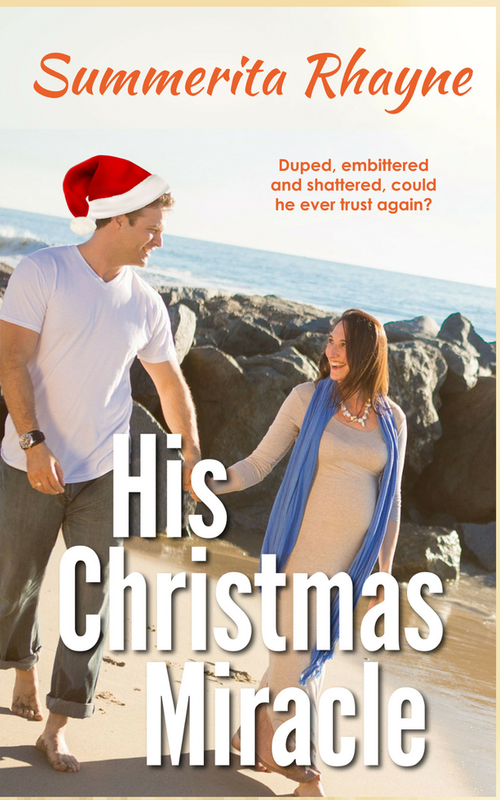 Duped by one woman, he’s determined to not let the expectant mother, Chrissie out of his sight. So, when she plans a trip to India without his knowledge, he follows hot on her heels. Chrissie feels oppressed by Kyle’s overbearing manner. After losing her father, she feels confused and alone and wants to get acquainted with the family he left in Goa. Kyle’s heavy-handed tactics drive her mad. But she’s also attracted to him. Surely she can’t be drawn to a man this bossy. And then an insidious, incredible wish begins. That her baby should have both the parents. 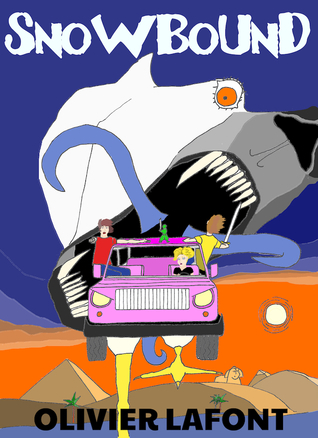 As compelling attraction drives them together, the improbable dream appears to take a hazy shape. 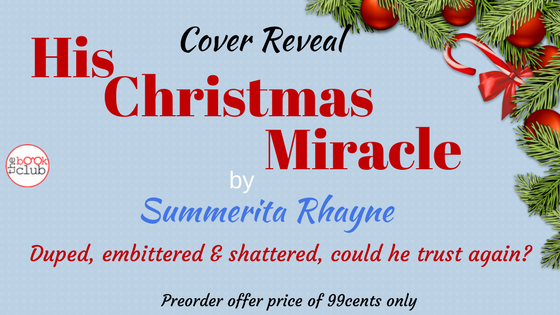 His Christmas Miracle is a sensual, but tender romance set in beachside Goa at coastal India. 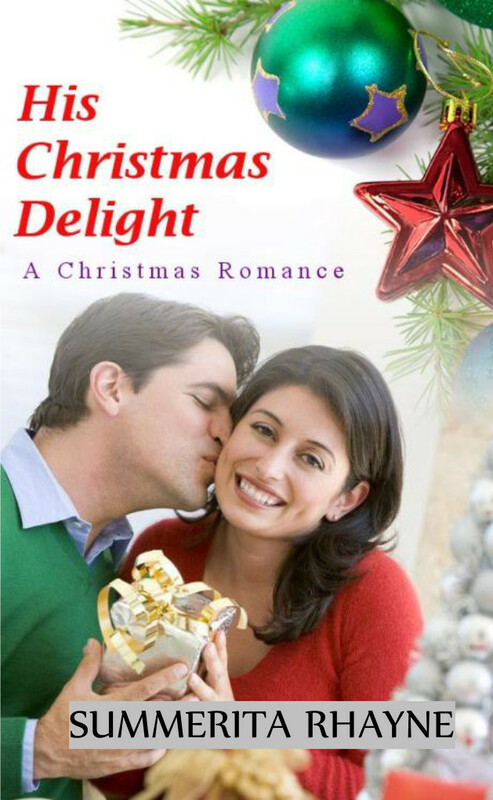 It is sequel to two other Christmas romance stories, His Christmas Delight and His Christmas Surprise. Summerita Rhayne writes contemporary and historical romance with lots of emotional conflict. She first got published in 2013 and has won contests with prestigious publishers such as Harlequin and Harper Collins India. Her pet belief is, if the inspiration is strong enough, the story characters will find a way to make the writer pen them down, even when writing time is in short supply. When cerebrally confronted with the sizzling interaction of two Alpha characters, the only way to get peace is write their book! At heart, she’s a family person and even though she loves her medical teaching profession, she happily becomes a homemaker when not at work. 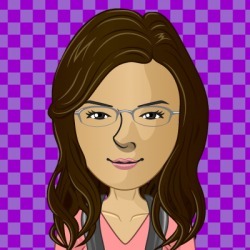 She loves winding down with music, romcoms, cricket (strictly watching only) and social networking. The last Santa Claus had triplets who each inherited a portion of his father’s power, and that split is now tearing apart the soul of Christmas. Niccolo Vecchio, the eldest, has fortified the North Pole into a citadel of ice and metal. Santini, the middle brother, is in hiding somewhere in the Mediterranean. The youngest brother, Niccolo Piccolo, is raising legions to reclaim his inheritance. Two of the triplets will have to renounce their claim in the next forty-eight hours, or this Christmas will be the last one ever. 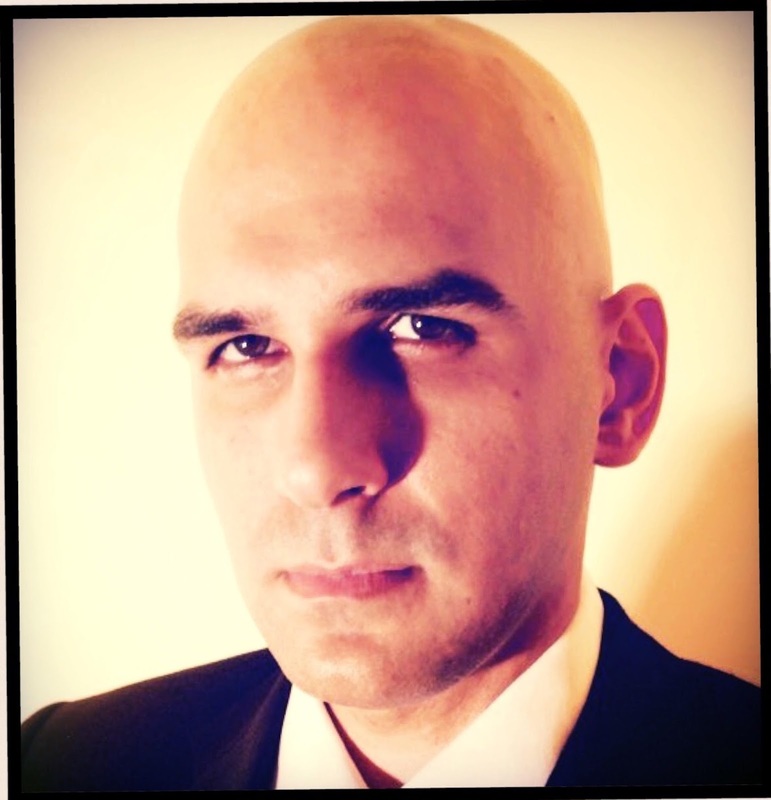 Olivier Lafont is a French author, screenplay writer, and actor living in Paris. His novel ‘Warrior’ was published by Penguin Random House, and was shortlisted for the Tibor Jones South Asia Prize. He has just released his new contemporary romance novel ‘Sweet Revenge’ exclusively on Kindle. ‘Purgatory: The Gun of God’ is a fantasy novelette published in South Africa. Lafont has written a number of feature film scripts before. The first film he wrote opened at the Toronto Film Festival and went on to win seven awards at film festivals worldwide. As an actor Lafont has acted in Hollywood and Indian films, in TV serials, and in over 80 television commercials. He acted in ‘3 Idiots’, one of India’s all-time blockbuster hits, the critically-acclaimed ‘Guzaarish’, and the Lifetime film ‘Baby Sellers’, amongst other films. Lafont graduated with two degrees in acting and writing from Colgate University, USA, with academic distinction. 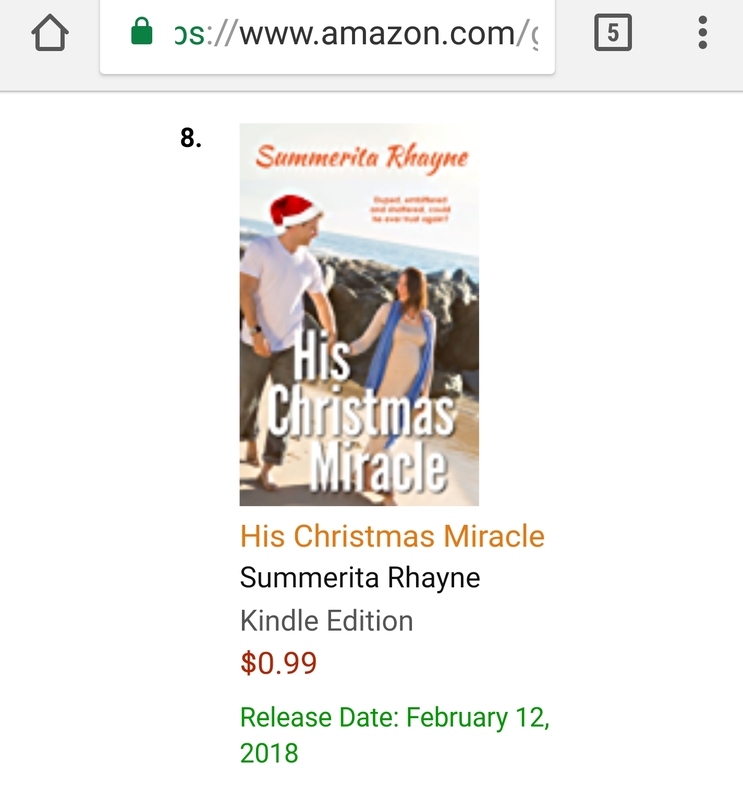 Today is special occasion for me as it is Book Release Day for His Christmas Delight, a romance set around Christmas and Goa. To celebrate, I’m giving away ebook copies. Just comment to enter. You can share anything about Easter, Christmas, Goa or romance. There may be more than one winner in this giveaway. Happy to share the cover reveal of my latest, His Christmas Delight, a Christmas story. It’s not the season for a Christmas themed book but, well, why not. Myra and Jay are two characters who had to have their story told, though I must say the tale leans more towards Jay’s side as he struggles not just with PTSD but also with rediscovering his old crush. Returning to his homeplace after a long time, he finds that Myra, the girl he was once in love with, has feelings for him, but he’s not looking for commitment any more. Will they find their happy-ever-after? Sharing the blurb with you. For Myra, Christmas means supporting her friends. They rallied round getting her back on her feet after she lost Pete, her husband, so she’s always ready to help any of them. No matter to what lengths the challenge makes her go. Only she didn’t expect to find Santa almost catching her in her wrongdoings. Then she finds that the handsome Santa is Jay, her old high school friend. Now he’s changed from a gangly geek to an attractive stranger. After missing out on the dating scene for a long time after losing Pete, she feels the first stirring of desire. But Jay is playing hot and cold, refusing to admit the attraction sizzling between them. Jay knew Myra as his best friend’s girl. Now Pete is gone, but Jay is finding difficult to let go of the scars he picked up in Coast Guard service. He’s home only to help revive his brother’s toy shop. When he finds himself making excuses to stay, he knows he’s crossing the limits he’d set himself. What’s the purpose in taking this further when he knows he cannot be the one to give her the happiness she deserves? But no matter how hard he tries, the scorching flames of wanting only seem to get stronger. How can he keep on denying the attraction between them when she insists on coming close? Thanks for taking time to read about this story and joining me in the cover reveal of this special short novel. Then a stranger arrives bearing gifts for Jason—and for her. He’s Daniel Kinsley, a lawyer who’s grown cynical about family. But his kindness in making Jason’s wishes come true offers him more than he ever imagined. Is there room in Paige’s heart for a man who could fulfill all their dreams? And not just at Christmas! A Child’s Christmas is a thoroughly christmassy read and I almost expected to hear Christmas carols when I finished the book. It delivers what is promised in the title. Heartwarming isn’t the usual line I read in Harlequin. I go more for the Presents or Desire but in spite of the preference, I enjoyed reading this book. The focus is more on strong relationships and how they help the protagonists in facing difficult circumstances. It’s a clean romance – I guess that’s a criterion for the Heartwarming line. Kate James has depicted the ups and downs of characters caught in a tribulant situation and you are cheering for them and for their courage against the odds, all through the book. There are many emotional and tearful moments. The narrative is fast paced and doesn’t falter anywhere. It is what it promises to be – a feel good Christmas read. I give this book five stars for being a thoroughly enjoyable read in its genre. WHAT WAS IT about the holidays, Daniel Kinsley wondered as he returned to his desk, that seemed to bring out the worst in people? He was glad he had some time to spare before his next appointment. His meeting with Gloria Farnsworth had put him in a miserable mood. He dropped heavily into his chair and swung it around to stare out the window. Across the street, a billboard displaying a Norman Rockwell–style scene seemed to mock him. It showed a cheerful, ruddy-faced Santa distributing brightly wrapped gifts to an elegantly dressed and ridiculously happy family. The husband clasped his wife’s hand affectionately, and the model-perfect woman stroked the blonde curls of a little girl in a red velvet dress. Daniel snorted. Did anyone really live like that? Not in his experience. He thought of his own parents and their respectful, polite relationship. When was the last time he’d seen his parents touch? For that matter, his mother’s obligatory cheek kisses aside, he couldn’t recall his parents ever touching him with affection. They never argued. They never fought. But he also wasn’t sure they actually loved each other. A sad statement, especially after forty-three years of marriage. It didn’t help his mood to remember that he’d agreed to spend more than a week with them in Newport over the holidays. He knew there’d be no Christmas cheer in that. At times he questioned why his parents stayed together. Then again, maybe they had it right. No love, no pain. Not wanting to dwell on it, he allowed his thoughts to come full circle to Gloria Farnsworth. Daniel turned away from the window and looked down at the open Farnsworth case file on his desk. He’d been tempted to tell Gloria to find another lawyer. But would that really have accomplished anything? More than half his cases disgusted him in one way or another. Okay, maybe none quite as much as the Farnsworth case, but if he wanted to extricate himself from cases that he found morally reprehensible, where exactly would he draw the line? He picked up his pen and twirled it between his fingers. Gloria Farnsworth was definitely at the extreme end. She’d torn a strip off him when he told her she should be satisfied with the spousal support her husband had agreed to—generous in his estimation—and accept that she was on shaky ground trying to get child support for a nineteen-year-old who wasn’t attending school and didn’t have a job. Gloria had demanded to know under what conditions she would be entitled. And fool that he was, he’d treated her like a rational person and explained some of the circumstances under which case law might entitle her to child support. He never would’ve imagined that she’d jump on one of the alternatives and willingly label her own son mentally disabled for the sake of gouging more money out of her soon-to-be-ex. It was repugnant. Daniel knew it wouldn’t hold up in court—no expert witness would testify to it—but things probably wouldn’t come to that. Having met the husband on a couple of occasions, he sensed that the man cared about his child. Daniel was quite certain he’d settle rather than subject his son to the pain and humiliation of being questioned in court about his mental capacity. Maybe Daniel should tell Gloria Farnsworth to take a long hike off a short— Whoa! She’d really gotten to him. In more polite terms, he would ask her to hire another lawyer. He refused to be party to what essentially amounted to fraud. He straightened the papers, closed the file folder and tossed his pen on top. With his parents’ loveless marriage, plus the hostile family disputes he witnessed at work, it was hardly surprising that he was still single at thirty-six. Why couldn’t people be civil to one another? As an idealistic law student, he’d chosen family law because he wanted to help people, yet his caseload was dominated by nasty divorce and custody battles. Who was he kidding? He hadn’t helped anyone in a long time in any way other than to better their financial circumstances or inflict hardship and pain on their spouses. It was a bitter disappointment to see how people who’d supposedly once loved each other and been committed to each other ended up. Kate spent eight years of her childhood living in foreign countries as her professional parents travelled on business. She lived in four countries and spoke five languages before settling down in Canada again to attend university. 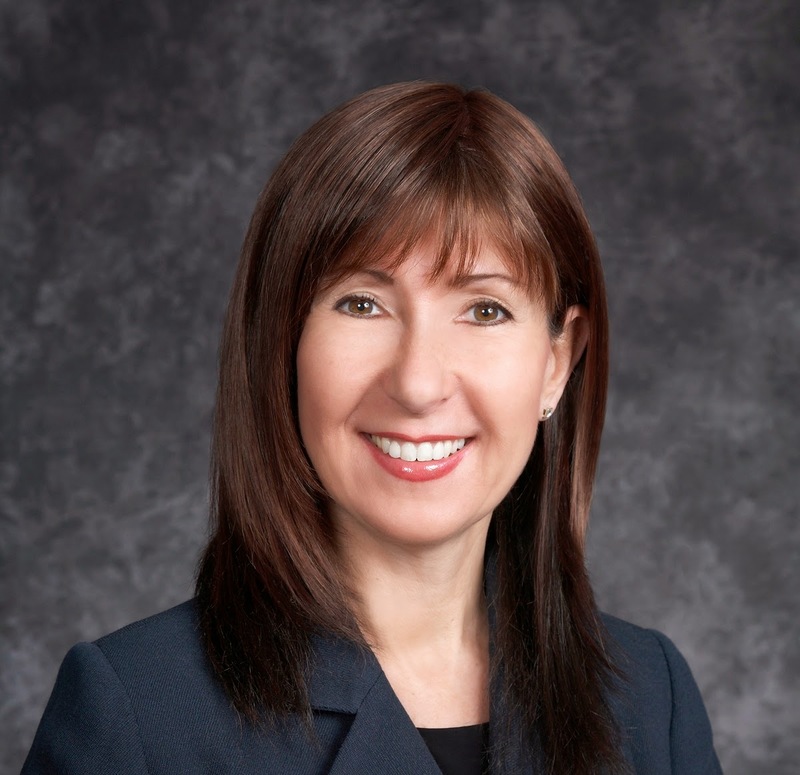 After graduating with a degree in civil engineering, she held a variety of positions in the field of real estate development and operations, and ran three substantial organizations. While her writing during this period was mostly business related, including presentations and speeches she delivered both nationally and internationally, her passion is and always has been fiction. Kate’s business and personal experiences enable her to write fiction with a deep, often first-hand knowledge of what she is writing about. This approach makes Kate’s stories richer and more vivid. Kate’s goal is to entertain you with well-written, engaging stories, set in intriguing places and with strong, likeable characters. “I hope my stories bring you pleasure and entertain you. Nothing pleases me more than receiving feedback from people who have chosen to spend their valuable leisure time with one of my books,” notes Kate. Kate married her husband, Ken, in an elegant, ocean-front wedding on a tropical island. When they are not traveling, they split their time between their properties in southern and central Ontario in Canada, with their beloved black Labs, Harley and Logan.